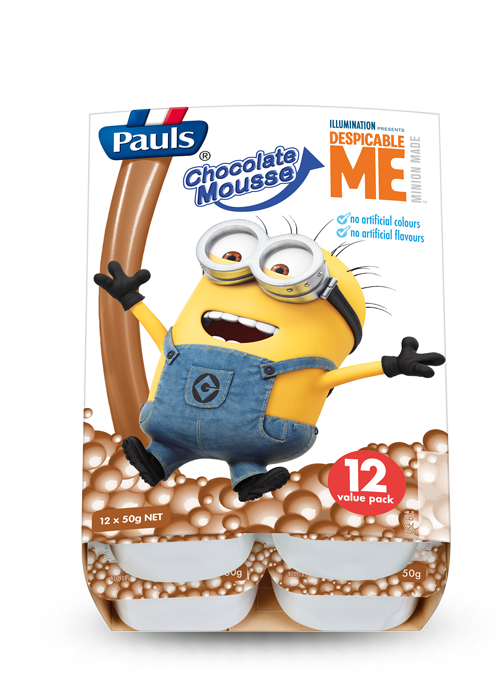 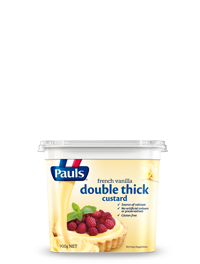 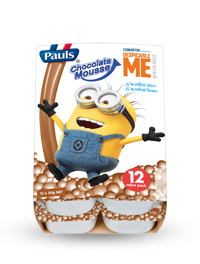 Pauls Despicable Me Chocolate Mousse is a delicious dairy snack packed with dairy goodness. 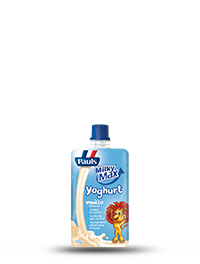 It is a source of calcium and is free from artificial colours and preservatives. 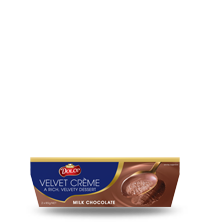 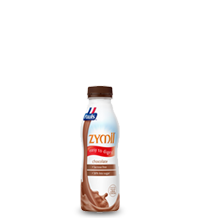 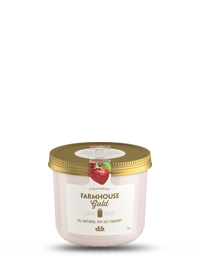 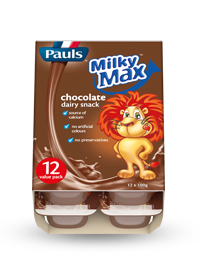 Milk, Cream, Sugar, Milk Chocolate (7.5%) [Sugar, Milk Solids, Cocoa Butter, Cocoa Mass, Soy Lecithin], Milk Solids, Cocoa, Gelatine, Thickeners [(1442) (From Maize), 407], Emulsifier (472b), Natural Flavour.